The balance between function and style is of the utmost consideration in wearable technology. 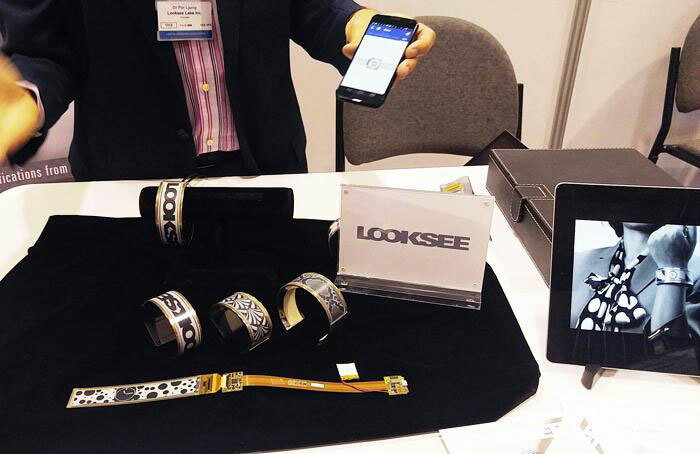 LookSee Lab’s EyeCatcher bracelets emphasize self-expression so that users can display any style of information they choose right on their wrists. 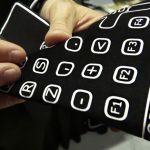 The flexible, always-on displays are controlled via iOS and android smartphone apps. Users can specify different patterns to display or choose their own images as well as custom notifications, and the smart jewelry boasts an amazing battery life. Imagine being able to change your jewelry to match a different outfit at the touch of a button, or change your display depending on your mood. LookSee Labs has taken self-expression and tech to the next level, and this may be the newest piece of jewelry that users will not want to be without. Figure 4: EyeCatcher bracelets in 3 styles of cuffs mounted with flexible displays (from left to right): stainless steel, white bronze, and solid silver. 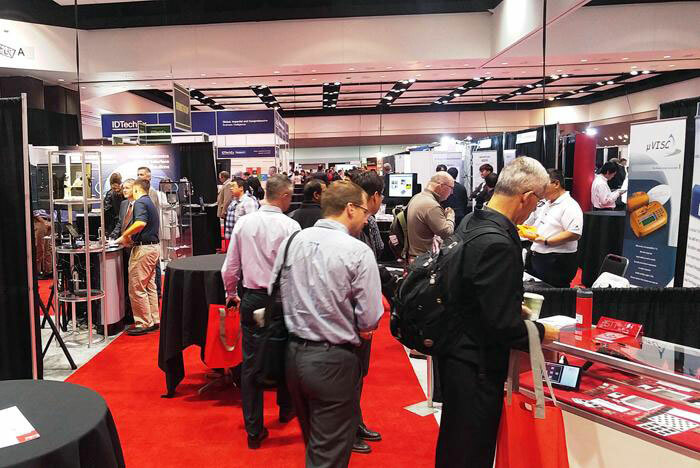 Novus Energy Technologies presented their latest advancements in thermoelectric technology, specifically waste heat to electric conversion devices and heat-pump devices for cooling/heating. Novus’ technology allows for the manufacturing of power generation and heating/cooling devices that are larger and more robust. For instance, their large area heat to electric generator can produce 100W of power compared to just 10W for conventional designs, translating to higher efficiency and lower cost. Some interesting applications for the technology include a car seat heater/cooler which uses heat spreader technology (in contrast to conventional blower technology), and a personal heating/cooling vest for temperature comfort that could be useful to outdoor or sport enthusiasts but also critically important for first responder, soldiers, or anyone who works in non-climate controlled environments. Novus Energy Technologies is also developing personal HVAC solutions and CPU cooling solutions as well. 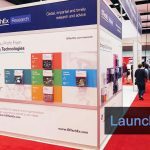 OTI Lumionics was recognized for their OLED (organic light emitting diode) technology, which is producing thin and flexible lighting products and displays. One such product is a transparent one-sided emission OLED display. The Toronto-based company hopes that their technology brings down the costs of OLEDs significantly. 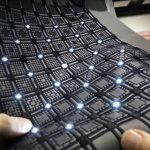 Some future applications include the use of their thin and flexible OLED technology in printed advertisements, wearables, and furniture design. 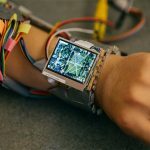 Rotex has developed a skin-like electronic sensor that can measure multiple biometric signals from one patch, including heart functioning (EKG), brain activity (EEG), muscle strength (EMG), respiration rate, body temperature, and skin hydration. The data is wirelessly streamed to a smartphone app for diagnostic and performance analysis. 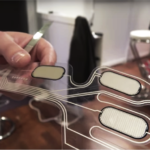 The ultra-thin, stretchable, lightweight patch could potentially be useful in a healthcare setting where unobtrusiveness is critical. Other uses considered include fitness monitoring and virtual reality. 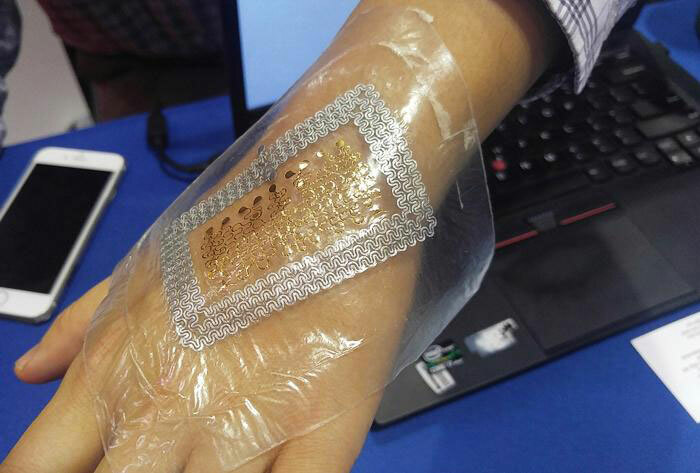 Figure 6: This lightweight skin sensor by Rotex can measure multiple health parameters. Ubiquitous Energy’s truly transparent solar technology is a unquestionable revolution in solar energy harvesting. Solar power is the most abundant, renewable energy source available but harvesting via bulky, opaque panels limits where this power can be captured. By making the first transparent solar cell, Ubiquitous Energy has opened the door to making solar energy harvesting capable on any surface. The technology is applied as a film (ClearView Power™), and transparency is possible because the film allows for visible light to pass through and only absorbs ultraviolet and infrared, light frequencies outside the visible spectrum. ClearView Power™ produces power conversion efficiencies over 10% with 90% visible transparency. 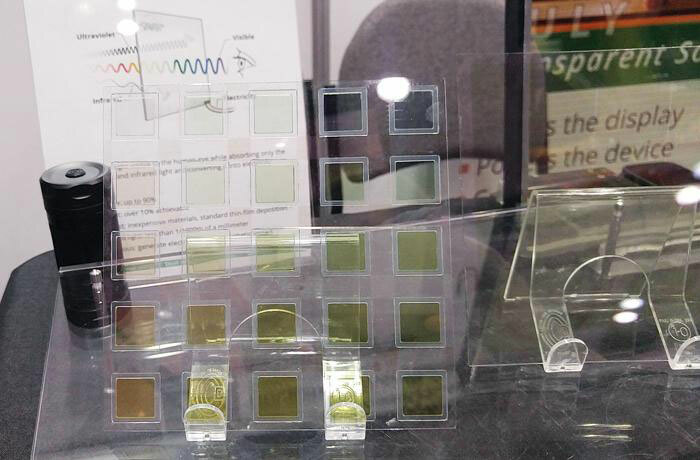 Hence, windows (home, automotive, building), display screens, or any glass or plastic surface exposed to light, can become solar energy harvesting surfaces. 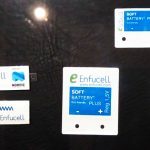 The technology, born at MIT, can generate enough electricity for low-power devices to operate batteryless, extend battery life of mobile devices, and even feed back electricity for the grid. The applications are limitless. Wearable or mobile devices could be charged, extending battery life, perhaps making the need to the plug the devices in obsolete. 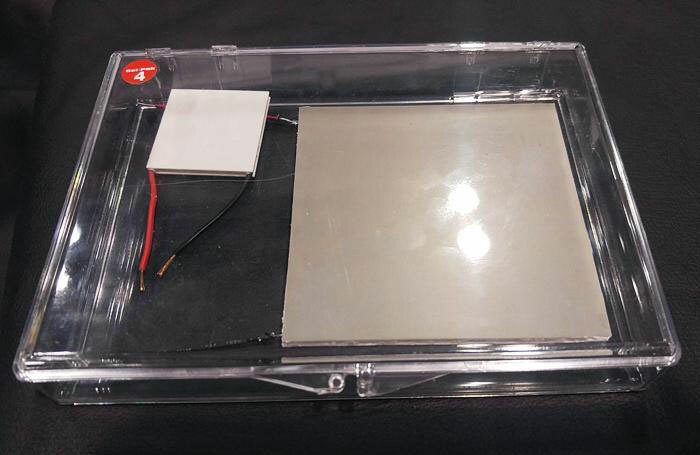 Smart home and building sensors could be powered by the energy capture by the windows. Perhaps electric vehicles could be a boost while out on the road. The ability of the technology to transform unused surfaces into power generators and to promote sustainability makes it an exciting innovation to track in the coming years. Figure 7: A variety of solar cells from Ubiquitous Energy. The different colors signify the ability for the cells to capture different wavelengths of light. From sensors to energy harvesting to printed materials, Launchpad Winners thoroughly demonstrated the creativity and innovation emerging in smaller companies or up-and-coming startups that are already helping to shape the future of tech. We look forward to more advanced products and technologies from these very promising companies.